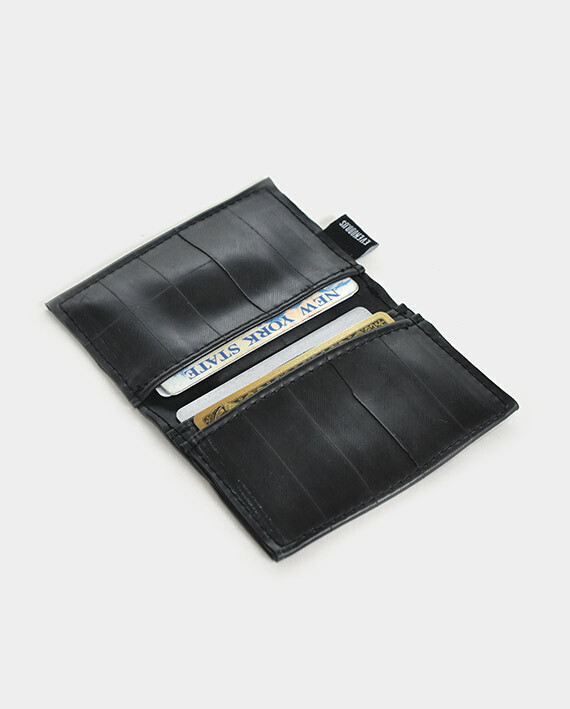 Our wallets are made from a single piece of upcycled bike inner tube. Each piece is handmade in the USA. 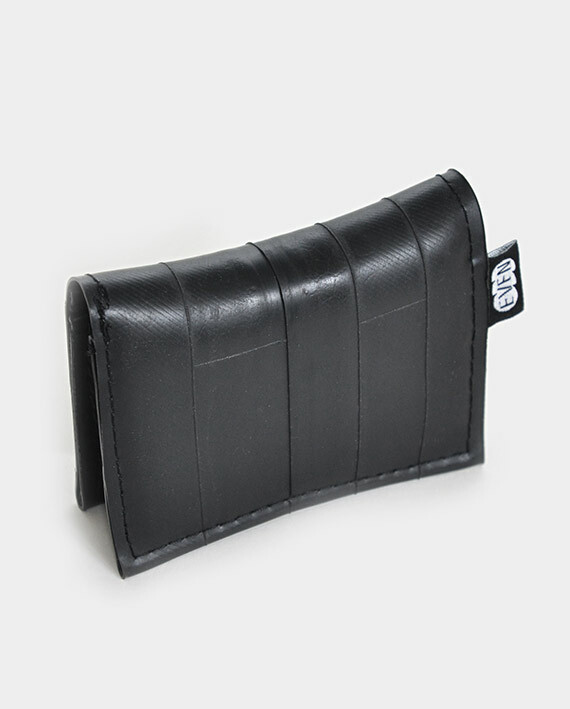 Wallets will vary slightly because each is made from different bike inner tubes. No two will be alike. Each inner tube is hand cut and then washed thoroughly with an eco-friendly detergent. Inner tubes may have bright or faded white/colored brand markings and dimensional text on certain areas.